Unfortunate Expeditions introduces Expeditions into the game. 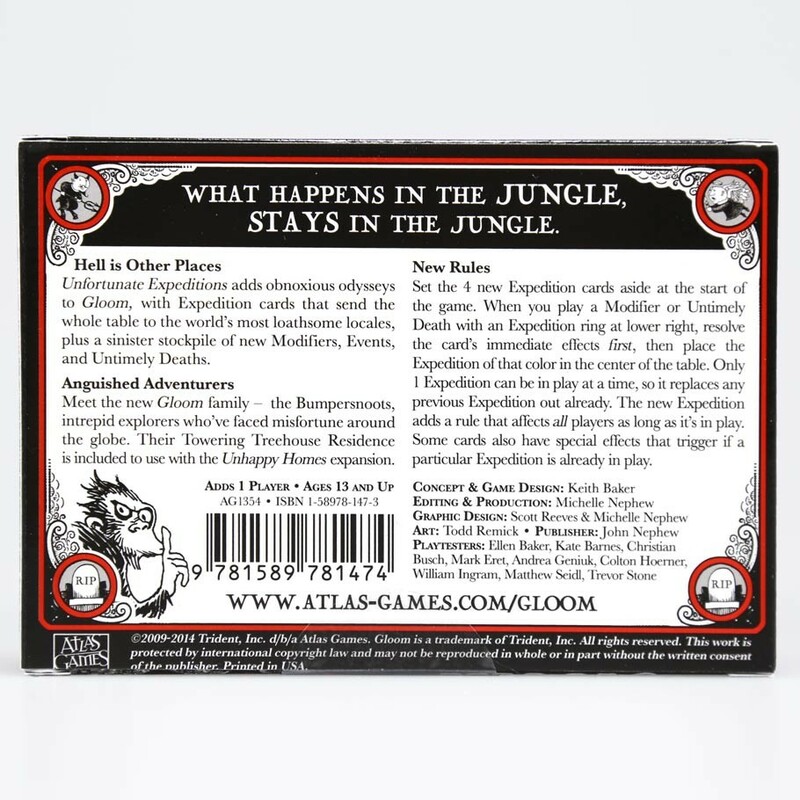 An Expedition's rules affect all players as long as it's in play. The treehouse-dwelling Bumpersnoots also enable an additional player to join a game. 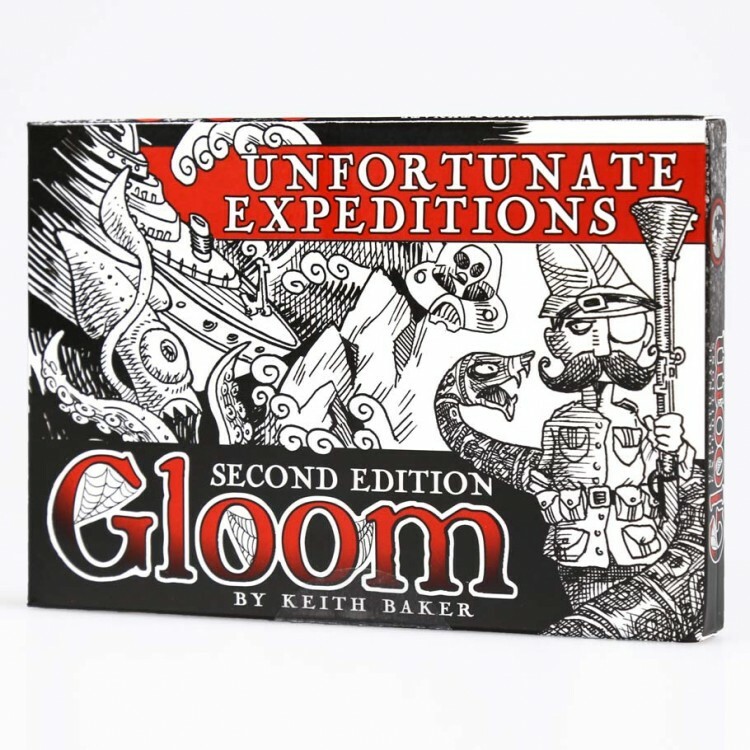 The second edition includes new and larger packaging (with side-by-side half-decks), rules fixes, timing icons, reminder cards, and more; plus it's fully compatible with the first edition game and supplemements.